Today’s kids deserve more than just another video game. Subscription boxes for kids are designed to foster imaginative play, innovative thinking, and individual development. From birth to adulthood, there are boxes to appeal to every child. Books, STEM/STEAM activities, and toys are chosen to set them on a positive track for lifelong success. Get a Kiwi Crate, they said. It’ll be perfect for your five-to-eight-year-old, they said. THEY were absolutely right! Choose a one-time crate or subscribe for extra fun, learning, and savings. Whether your youngster is curious about science, technology, or art, the Kiwi Crate engages minds and hands while enhancing learning and imagination. Subscription boxes are all the rage, so it’s no wonder My First Reading Club is on the bandwagon. Age-appropriate books (plus a gift for mom!) are delivered every month. Not only is it exciting to get a box full of surprises every month, but this box fosters a lifelong love of reading. It’s more than just another subscription box. It’s a STEM learning adventure carefully assembled to engage and enchant kids ranging in age from three to eight. From your own backyard to prehistoric times, there are activities and projects that explore a new theme every month. Hands-on learning beats a screen every time. Kids are experts at playing, and the quality of their “tools” impacts the result. Didi’s Toy Box subscription offers heirloom, developmental, and learning toys carefully chosen to bring out the best in infants and toddlers up to thirty-six months old. Each box will delight you as your little one develops new skills. In today’s ever more competitive world, parents appreciate every advantage available to their youngsters. The Little Learners Busy Box is ideal for preschool toddlers. Designed to provide exposure to primary lessons and engage fine motor skills in preparation for the classroom. Subscribe for your own child or grandchild, or as a gift. Can you imagine anything more fun than a subscription box of SLIME? Kids love Slime. Parents play with it, too! These boxes range from mini to mega, with two to four tubs of Slime, various items to match the theme of the month as well as some candy. What’s not to love? Kids who play sports learn valuable social skills, including teamwork, that simply isn’t available in a book or video game. Here’s an opportunity to encourage your junior athletes and show them you support their choices. Every month, they’ll receive a box with accessories, sports gear, and training tips to enhance their performance. Curiosity and imagination are kid superpowers! As adults, it’s up to us to encourage and feed that imagination and curiosity. Science Unboxed offers a unique hands-on project designed to stimulate critical thinking skills and supplemental materials to teach STEM principles. This subscription would be a fabulous gift for the super-kids you know. We know that the future will continue to advance in terms of technology. We know our kids need to learn tech skills now. Bitsbox is a subscription box for kids which is designed to teach and encourage coding. New coding projects are delivered every month, specifically for youngsters between 6-12 years old. Mammals, reptiles, birds, and fish are all animals, and children are curious about them. Animal Adventures Club is a crafty way to learn more about some of our favorite critters. 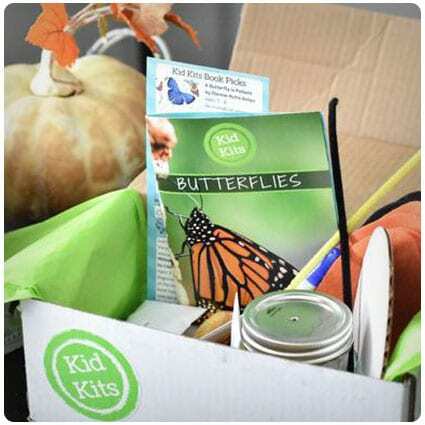 Each box contains hands-on projects that are fun for kids and grown-ups to do together. Choose boxes for one or two kids! Picky eaters aren’t born that way. Giving kids information about different fruits and vegetables, then offering opportunities to try different things is as easy as a BeetBox subscription box for kids. When introduced with a hands-on craft project, a fun game, or a cool book fosters excitement for yummy, nutritious new foods. Em and Liz boxes are carefully selected for girls ages 3 to 10, because we know what girls like. Nowadays, when we’re so active, it’s nice to take the time to let little girls just be girls. This box promotes self-care and social grace, paving the way to becoming a proper lady. Gotta Catch ‘Em All! This subscription box will thrill any Pokemon fan. Every month you’ll get a plush figure and a Pokemon trainer gym badge. You can select age range and gender for a more specific box, or option up to also receive trading cards and collectibles. It’s super fun for everyone. Do you ever wish you could speak Spanish? Or maybe you do, and you want your child to enjoy the pleasure and benefit of knowing two languages. The Bilingual Box, with materials for one or two children, offers learning activities for kids age 4-8 to learn or improve their Spanish at home. Books are our favorite things, so you know we were thrilled to see the Tribe of Little Readers. Every month, you receive books which are handpicked for your child, based on his or her interests and age. You’ll be thrilled with the variety and quality of the books, all from Usborne Books! Subscription boxes aren’t just for babies. Kiwi Crate offers art-and-design-themed Doodle Boxes for kids 9 to 16+. These projects are designed to inspire their creativity, crafted to get them asking questions, and intriguing them to learn more. STEAM-friendly for individual learning to work with a partner. The “what-if” possibilities will amaze you. MTG Monthly takes a classic concept and provides it in an innovative way. Choose your level, choose your sets, and receive seven, ten or thirteen NEW packs of “Magic: The Gathering” cards. Whether you’re a new player or you’ve been gaming since 1993, this is the ideal way to keep in step. Learning is more than 1-2-3 and A-B-C. How does it feel? What does it smell like? My Sensory Box offers intriguing materials every month designed to pique a child’s curiosity and employ all of their senses. Fun utensils develop fine motor skills and add to playtime enjoyment. For kids 3 and up. Do you know a youngster who’s been wishing upon a star? If so, then the Dreamers Box Disney subscription box would be just the ticket. The subscription box is available for guys or girls, and there are four subscription levels. Every month features a new theme with adorable collectibles, apparel, or accessories. Gender roles blur a little with every generation. Opportunities and expectations are greater than ever before, yet there is still room to encourage and empower girls to be and do anything they can imagine. The “Girls Can” crate is designed to foster the imaginings with STEAM activities and fearless female role models. Kiwi Crate’s Koala box is perfect for curious minds in the three-to-four-year-old age group. Craft items and projects are chosen to appeal to and engage tots with activities that challenge them. Printed materials include a parent guide, “Imagine” magazine and online DIY ideas. It’s the most fun you can get in a box. Most parents will agree — anything is better than parking kids in front of a screen when they can’t interact with them. The Kids Busy Bag is perfect for any time youngsters need something to keep them engaged so parents can focus on their work, driving, or chores. Ideal for quiet time. The Curiosity Box subscription box for kids 7-11 is filled with answers to their science questions. “How does electricity work? What makes plants grow? Why is the sky blue?” This is an ideal gift for junior inquiring minds and certain to educate parents in the process. A new theme every month! The “Raising Our Scholars” box is a lovely collection of books and activities for kids ages 0-3, 4-8, or 8-12. All selections are written by African-American authors, with a goal of fostering a lifelong love of reading and writing, while building self-esteem in children of color who will relate to the characters. My Little Pony is a delightful character with a huge following. It’s no wonder there’s a box exclusively themed with MLP items. Choose from Youth 4T size to Adult XXXL. No other subscription box offers such a large range. It’s an inexpensive way to get a surprise MLP package every month. Let’s be real, toys are expensive! Especially when you want high-quality, educational items that are age-appropriate. Then when they’ve outgrown them, you have a toybox full of nice things no one uses. Lil’ Monster has an innovative solution: Subscribe, receive a box of great toys, play with them, then return and repeat. Sensory TheraPLAY Box items are thoughtfully chosen to assist with self-calming or to improve focus through sensory therapies. It’s ideal for children on the autism spectrum. Designed by an occupational therapist and mom, TheraPLAY boxes are filled with quality toys that are therapeutic as well as fun for kids of all abilities. There are so many subscription boxes for kids from which to choose. You expect high quality in age-appropriate educational toys. You also want natural products that are earth-friendly. Since you know that every Hoppi Box item is chosen by child development experts, you know all your expectations are met. You’ve chosen well. Clifford and The Magic School Bus science clubs are fun, exciting, and engaging kits to introduce youngsters from 3 to 12 years of age to the wonderful world of science! Each box includes a colorful manual, and a lab tray with components for interesting hands-on science experiments to do at home. Puzzles are a fun way to practice mental skills with hands-on gadgets. Whether you’re a fan of jigsaws or brain teasers or the infamous Rubik’s cube, there’s sure to be something that will capture your fancy. And if you can’t solve it right away, there are more puzzles to work on! The Reading Bug Box is the most adorable collection of books for kids 0 to 13. Choose your subscription box according to your child’s age, or choose a box for two kids! Reading Bug will select books especially for your child’s interests because you’re never too young to learn to love reading. Playtime with toddlers is anything but mindless, so spend your time together with structured play, reading, and learning games. The Preschool Box is an ideal subscription box for one or two kids and is filled with exciting, hands-on projects to help little ones learn reading basics and develop fine motor skills. Saddle up, partner! The Pony Xpress Club box is on the way for equine fancier. Books, accessories, treats and more are included to delight the would-be equestrian between 8 and 13 years of age. (Although we think older horse lovers will find themselves sneaking a peek). Choose from Pony or Horse size. Once Upon A Fairy Tale offers a fun box fit for a Queen, or choose the Princess Treasure Chest for the younger fairytale fan. Fantasy jewelry, bookmarks, and other accessories coordinate with popular themes from our favorite fairy tales, fables, and myths. What an enchanting idea! It also makes a fabulous gift. The BRICKBOX Club is the perfect box for fans of connecting brick buildable sets. Each BRICKBOX contains bricks, a minifigure, and a building set. Items are either LEGO brand or compatible with LEGO. Choose the regular BRICKBOX or the BRICKBOX Mini to grow your collection of always popular and fun building bricks. So your child is a genius, and you, of course, want the perfect subscription box to pique their curiosity. It has to be STEM-ready because it’s never too early to start your little genius on a competitive track. 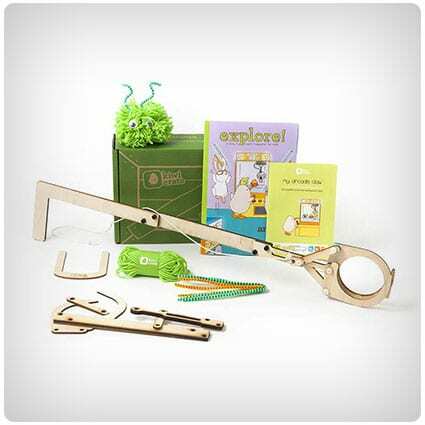 The Genius Box is obviously the right choice for you and your brilliant youngster. It’s been said, “If you can dream it, you can achieve it.” Dream Delivered is designed for kids ages 5-11, and offers insight into various exciting careers with hands-on activities and printed materials, such as Pathway magazine. Every box you purchase generates a donated box destined for kids in a “dream desert”. Surprise Ride is a fun-filled box of interesting items and activities with a coordinated STEM-friendly theme each month. Kids as young as 6 will have a great time exploring and trying out different projects. Will you get a science box? Maybe you’ll learn about a cool animal. Who knows? It’s a surprise! Whether it’s a clever illusion or deft sleight of hand, everyone is fascinated with magicians. Abracadabra! Here’s an intriguing subscription box that’s perfect for the aspiring prestidigitator, regardless of age. Every box will delight you with magic tricks (and online tutorials) so that you can go on and amaze your friends. Cricket Crate is the perfect selection of educational items for littles who are beginning to “explore and discover” everything they can. Choosing this box puts adorable age-appropriate toys in their hands, supplies informative printed materials to parents, and encourages 24- to 36-month-old babies to revel in their curiosity and love of learning. Precocious preschoolers and their parents will love the Tinkering Toddlers crate. 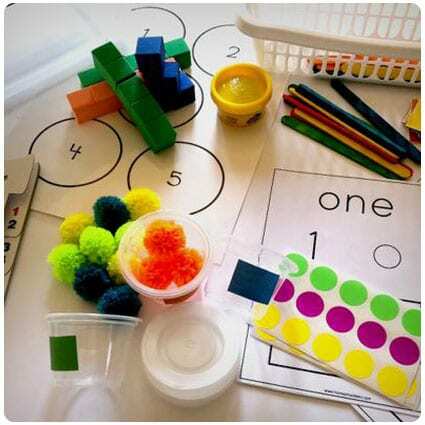 Every month features a fun theme with three hands-on projects which are designed to be messy, fun, and developmental. What a great concept! Anytime you can combine learning and play that actually engages and encourages kids, you’ve got a winning blend. DAPY Box is the perfect subscription box for parents of infants, toddlers, and preschoolers. Every month you’ll find engaging lessons, board books, or craft activities designed to teach kids fundamentals like shapes and colors, and meet developmental milestones. When learning is this much fun, curious little minds are prepped for success. We want our kids to be the best they can be. We want them to have the best of everything we can provide. The HOOT for kids combines our desires with carefully selected toys, books, and activities specifically to develop motor skills, sensory perception, and more. Simply the best of the best. There’s no doubt there’s something special about horses which fascinates kids. The LaLa Horse box features jewelry, accessories, books, and toys chosen to delight elementary-aged equine fanciers. Do you remember the first time you fell in love with a magnificent beast? LaLa Horse will help you share your devotion with a child. Imagine this: A subscription box that’s one part family fun, one part personalized weekly “Imagination Mail” and one part cherished fairytale or mythical characters. That’s what My Fairy Tale Box is all about. Focus on family activities to fit the fairy tale theme each month makes this box something fun for everyone. Kawaii Star is — in a word — adorable! Every month, six to nine items featuring your little one’s favorite Kawaii characters arrive ready to delight and enchant. Stationery and stickers, plushies and figurines, and books are just some of the items you can expect. Of course, you know they’ll be cute. Toy Box Monthly is the ideal subscription box for boys. Or girls! You can choose the box your child prefers. While we admire their individuality and encourage children to reach for the stars, there are times when girls are girly, and boys will be boys. It’s part of discovering who they’ll become. Make no bones about it — My EduCrate could be the best classroom in a box you’ll every order. Focusing on STEAM learning, there are different items, activities, projects, and books each month for your 6- to 11-year-old to discover. Just like an archaeologist unearthing fossils. No real bones are included. Walt Life Addiction can only be one thing, right? The ultimate Disney box, of course. There are several levels from which to choose, with Magic Plus at the top, offering even more choices. Pick the age range and/or gender preference for your box and prepare to be astounded. How long have you been looking for a subscription box that appeals to your 9-16-year-old science fiend? Tinker is a fun and intriguing laboratory in a box. Each month, you’ll receive a new hands-on project with blueprint, online tutorials, and the Tinker Zine with additional experiments. It’s certain to be a favorite! There’s no doubt toddlers are among the world’s most curious creatures. They’re fearless and ready to try anything as they grow and learn. Every milestone is an accomplishment and Milestones wants to help celebrate their development with age-appropriate learning toys, books, and fun accessories. For children 0-4 years of age. Magic: The Gathering, Yu-Gi-Oh! and Pokémon cards are featured in Deck Maniacs from Boards and Swords Hobbies. It’s the ideal subscription for the serious gamer or beginning collector alike. Booster packs, gaming accessories, or collector’s supplies are included depending on the levels you choose. Available monthly or bi-monthly to suit your gaming schedule. Voracious readers are made, although fostering a love for books starts at birth. Kid Curated Books subscription box has selections for children from 0 to 14. They’ll tailor your box to delight your child and fuel their passions. All about spiders? Love to dance? Have a puppy? There’s a book for that. With five senses, it’s not unreasonable that we all have different responses. Some of us have difficulty with one or more sensory processes. Finding the “just-right” items to address the issues and including them in a gift basket is a thoughtful and sensitive way to acknowledge these special needs with appropriate stimuli. Put together a DIY treasure chest for the Harry Potter fan in your life. This variety of tutorials will give you plenty of options for a magnificent box full of delight. Do you need a Marauder’s Map? Defense against Dementors? Goblin’s Gold? All the fun of the wizarding world can be yours! It’s a universal truth: whatever a child is doing, his or her younger sibling wants to do it, too. Sometimes that’s an easy fix, like this DIY “Inventor’s Box” for little kids! Age-appropriate craft supplies are all you need so your littles can “invent” alongside their older siblings. What’s more fun than science experiments that kids can do at home? Getting all the ingredients and a cool instruction book in one awesome science kit! This DIY has a printable book and a list of items so you can put together a super-cool gift basket for your favorite little scientist. A budding artist won’t be stifled by something as simple as a change in venue. With a little creative thinking, you can follow this DIY to transform a kid’s tackle box into a portable craft kit. All those little compartments are perfect for storing supplies and keeping them at your artist’s fingertips. Organization is a skill that takes a little foresight. When you have all the tools you need to do a job right at hand, the work is half done. This cute homework caddy holds everything kids need to complete their assignments. No more frustration or time lost looking for missing items. I don’t know which is more fun: getting a gift basket or putting one together! This savvy mom wanted to have a special presentation for the Disney “Frozen” toys Santa was bringing. Of course, you don’t have to wait for Christmas to work your own magic on a superb gift collection. It’s hard for a parent to see their child sick enough to keep them home. When they’re not sleeping, you want them to continue to rest, of course. The Sick Kid kit is a great way to entertain them when they’re not up to snuff. And it’ll make you both feel better. Is your favorite color rainbow? Then you’re in for a treat! From invitations to party games to decor, this clever DIY gives you plenty of ideas for your next event with every color in the rainbow. You can add your own personal touches, or copy every detail for your own colorful bash. What’s a party without party favors? Sometimes, the favors are the best part, because everyone gets a goody bag! If your next shindig is Nerf-themed, you’ll love this DIY tutorial filled with clever ideas and sources for the best Nerf party favor bags ever. You’ll score all the coolness points! Nerf said? Can you think of anything more sparkly than a unicorn? This Mason jar gift is perfect for girly girls who love unicorns! Or tough ladies who deserve and appreciate a little pampering. Here’s a list of amazing items you can put together in a shimmery jar for a thoughtful unicorn spa gift. Families are the best! This DIY Family Sundae Kit is sure to be a hit with the family, whether it’s yours or someone else’s. Everyone loves sundaes because they’re so easy to customize. Choose toppings and syrups, add cones and cups, and see what crazy combinations come up. Makes a super gift. Take a kid or two, add in a generous portion of curiosity, apply an Upcycled Inventor’s Box, and watch the magic happen. Using a few craft simple supplies, recyclable materials, and their imagination, you’ll be positively amazed at their inventions. This earth-friendly STEM-positive collection proves the old adage about one man’s trash. There is nothing as fascinating as figuring out “how” something works. With your own Tinker Box, your kids can open up virtually anything and learn about the relationship between its components. Just bring a few tools (and adult supervision) to explore something old, then use the leftover bits to invent something new. LEGO bricks are just plain fun. We don’t need to tell you that. You already know kids develop fine motor skills, problem-solving, and creative thinking when they play with LEGO. Here’s a fun tutorial to build a LEGO balloon car, then it’s off to the races. Check out the added printables, too! Invest in a kids clothing subscription box and your kids will enjoy trying on clothes for the first time ever. On trend and often cheaper than retail price, we’ve compiled a list of the best Mom approved clothing boxes around. Come and take a look. Make yourself smile every single month with a women’s clothing subscription box, and refresh your closet at the same time. Whether your tastes are casual or glam, modern or vintage, there will be a subscription box here that’s perfect for you. Ditch the deadly dishes, and opt for some tastier and better food when you sign up to one of these healthy food subscription boxes. Open up your mind and your mouth to some of the healthiest and tastiest treats on the planet. Treat yourself to a monthly comic book subscription box. This list is compiled of the best boxes around, some will send an array of books and others will send the comics and some goodies. They’ll arrive in mint condition and you’ll always look forward to the day it arrives.